There are so many birds needing homes out there. If you are considering another bird, please think about adopting one. There are several local adoption facilities that have many wonderful birds. There are several local adoption facilities that have many wonderful birds. 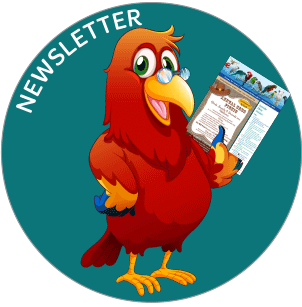 Janet and Marie welcome your e-mails, and we are here to help you with adoption (re-homing), rescue as well as education regarding your beloved parrot(s). Our goal is to assist you with referrals and to help you in finding the best home for your bird(s) should the need arise. When contacting either Janet or Marie via email, please include your name and a contact phone number. Our goal is to assist, direct and help to give you suggestions regarding re-homing or keeping your bird. Many of these groups have websites – take a look! The organizations listed below are presented to assist a visitor to the website with a list of organizations that educate, adopt, rescue, rehome or relinquish your bird(s) to a sanctuary. South Bay Bird Society is a 501(c)3 Public Benefit all volunteer organization. SBBS Officers, Board of Directors or members are not responsible for the policies, service or any fees associated with the organizations listed.